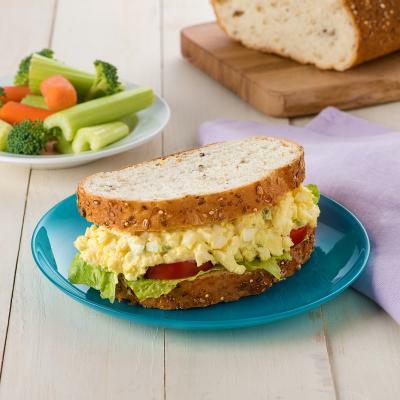 Egg salad can be made the night before, so this warm breakfast takes only minutes to prepare in the morning. Place eggs in bottom of large saucepan in single layer; pour in enough cold water to cover eggs by at least 1 inch (2.5 cm). Bring to boil over high heat; cover and remove from heat. Let stand for 12 minutes; drain and rinse under cold water. Peel eggs and chop. Let cool completely. Combine eggs, mayonnaise, chives, mustard, salt and pepper. 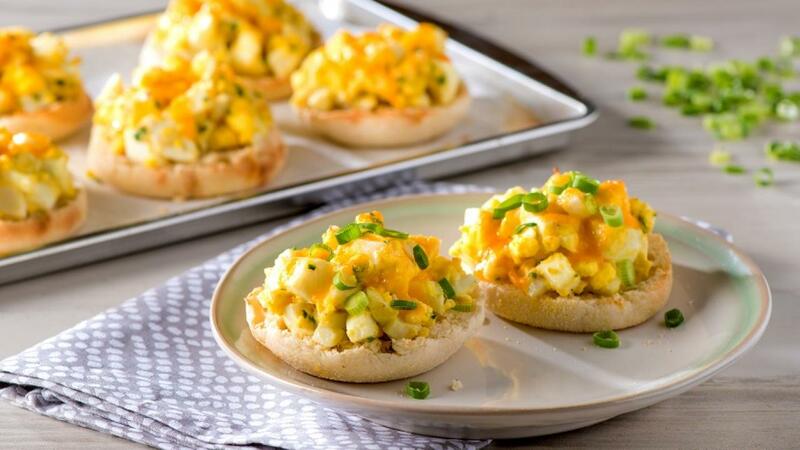 Spoon egg salad onto each English muffin half. Top evenly with cheese. Broil for about 2 minutes or until cheese starts to melt. 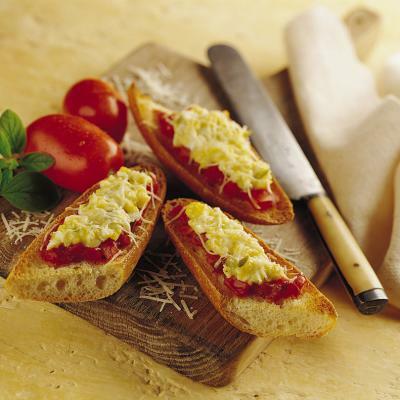 •	For a spicy breakfast, drizzle with your favourite hot sauce before serving. •	Substitute finely chopped green onions for chives if desired. •	Alternatively, sandwiches can be heated in the toaster oven.